All bars of soap are cold-processed and weigh 5+ ounces. 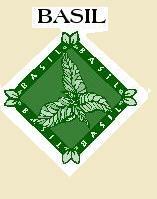 All products are handcrafted and tested using only essential oils and natural fragrances. Grandma makes only Castile soap, once preferred by royalty, and now made with only plant-based ingredients. No animals products are used in Grandma's soap. After made, our bars cure for approximately 6-8 weeks to provide a better quality product. Hunters and fishermen have used aniseed oil for generations to hide the human scent and repel insects. It also works well to neutralize strong smells from skin and hair. Ingredients: Olive oil, coconut oil, sustainable palm kernel oil, apricot kernel oil, almond oil, wheat germ oil, shea butter, distilled water, aniseed essential oil, sodium hydroxide. This soap is just for fun, but still has all the conditioning oils, There is a flower called sedum dragons blood. The scent is amber, Madagascar, vanilla & patchouli. Ingredient: Olive oil, coconut oil, shea butter, soy extract, hemp oil, sodium hydroxide, filter water. Ingredients: Olive oil, coconut oil, palm oil, palm kernel oil, avocado oil, distilled water, basil essential oil, sodium hydroxide. Ingredients: Olive oil, palm oili, coconut oil, hempseed oil, shea butter, fragrant blend oils, distilled water, sodium hydroxide. A staple in soaps. More gentle than any other soap. Very moisturizing and suitable for any skin! Ingredients: Goats milk, olive oil, coconut butter, palm oil, palm kernel oil, distilled water, sodium hydroxide. Chamomile is an antibacterial and a disinfectant. It is great for children. It has also been known to be used for sunburns and eczema. A very calming soap and the scent is amazing. Ingredients: Olive oil, coconut oil, palm oil, hemp oil, shea butter, distilled water, german chamomile essential oil, apricot essential oil, sodium hydroxide. Ingredients: Olive oil, palm kernel oil, apricot kernel oil, coconut oil, shea butter, grape seed oil, goats milk, distilled water, rice bran, cherry almond fragrance, sodium hydroxide. 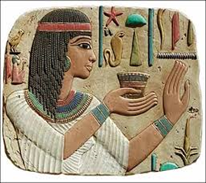 Egyptian Musk is a clean, light, and delicate musk with woodsy undertones and a touch of citrus. Ingredients: Olive oil, coconut oil, palm kernel oil,palm oil, almond oil, castor oil, distilled water, apple & spice fragrance, sodium hydroxide. 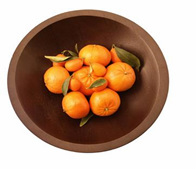 Orange essential oil is shown to promote the production of collagen as well as increase the blood flow to the skin. Clove oil helps soften skin as well as adds a wonderful scent. Lemon helps to eliminate stain. The cracked wheat serves as a great exfoliant after working in the yard or garden. Goats milk gives a creamy, enriching lather to balance the skin's pH. Ingredients: Olive oil, palm oil, castor oil, almond oil, coconut oil, babassu oil, cracked wheat, goats milk, distilled water, lemon essential oil, sodium hydroxide. Ingredients: Olive oil, palm kernel oil, apricot oil, coconut oil, grapeseed oil, goats milk, distilled water, rice bran, gardenia essence, sodium hydroxide. Honey is very healing to the skin. This is a mild, gentle soap pleasant for anyone. Ingredients: Olive oil, hempseed oil, shea butter, palm oil, coconut oil, almond oil, honey, distilled water, sodium hydroxide. Ingredients: Olive oil, palm oil, palm kernel oil, coconut oil, apricot oil, almond oil, shea butter, distilled water, "Grandma's Soap" special blend of essential oil and fragrance, sodium hydroxide. A very tranquil soap. Great for relaxing in the evening bath! Goats milk enriches the skin as well! We use only high quality lavender essential oil. My granddaughter's personal favorite! Muscadine grapes are known for their antioxidant properties. Studies have shown they may even have positive effects on inhibiting cancer cells as well as combating free radicals. Muscadine have different chromosomes than other grapes and are known as the 'super grape.' This soap has a wonderful, strong grape scent! Ingredients: Olive oil, muscadine grape oil, coconut oil, palm kernel oil, castor oil, avocado oil, water, sodium hydroxide. Made from tree ailanthus malabarica. Ingredients: Olive oil, avocado oil, palm kernel oil, castor oil, coconut oil, wheat germ oil, shea butter, aloe vera, essence of nag champa, distilled water, sodium hydroxide. Rich, creamy lather. Does not dry out your hair! Enriched with goats milk, there is no need for conditioner! Great for stopping itchy scalp! Made with all natural ingredients, no harsh chemicals added! Rosemary essential oil, lavender essential oil, palm oil, aloe, vitamin E, coconut oil, jojoba oil, castor bean, goats milk, distilled water, sodium hydroxide. Choose any three of the soaps that we carry to create your own three for $13.50 assortment! 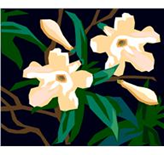 Exotic jasmine combined with alluring rose. Delightful! Ingredients: Olive oil, avocado oil, coconut oil, palm oil, palm kernel oil, distilled water, essence of rose, essence of jasmine, sodium hydroxide. folded into luxurious oils for a silky, fluffy lather you'll really love. Leaving you with a scent of chai latte. Ingredients: Olive oil, palm kernel oil, palm oil, coconut oil, apricot kernel , goats milk, essence of chai tea, water, sodium hydroxide. Citronella oil is used to repel mosquitoes & fleas so this soap can be used for your dog as well. It is a naturally occurring repellent & is distilled from grass varieties. Ingredients: Olive oil, almond oil, coconut oil,palm oil, palm kernel, castor oil citronella oil, eucalyptus, penny royal, water, sodium hydroxide. Thieves soap is a therapeutic essential oils, clove, lemon, cinnamon, eucalyptus & rosemary. 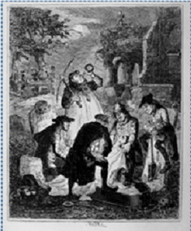 The blend is named after 4 thieves who supposedly used the oils to protect themselves while robbing people dying of the plague. ​Ingredients: clove essential oil, lemon essential oil, cinnamon essential oil, eucalyptus & rosemary essential oil, coconut oil, palm oil, olive oil, babassu oil, castor oil, water, sodium hydroxide. Wonderful conditioning for hair and skin! Argan oil rehydrates, refreshes & conditions with just a few drops leaving no greasy residue. This is a fair-trade product harvested from the Agania spinose tree in Tighaniminein in the Sous valley of Southwestern Morocco by a cooperative of women as their primary source against the devastating poverty of single Berber women. 2 oz bottle for $10.00. This soap has been claimed to help alleviate the itch of poison ivy irritation. We make our jewel weed soap with fresh organic jewel weed and soothing oils. It also has been claimed to help with bug bite irritation. Try this old remedy today. Ingredients: Olive oil, palm kernel, coconut, sage and raspberry oil, sage powder, grapeseed oil, castor oil, shea butter, distilled water, sodium hydroxide. A sweet, floral scent! Reminds you of the spring flowers in bloom. Ingredients: Olive oil, palm oil, palm kernel oil, coconut oil, apricot oil, goats milk, distilled water, lilac fragrance, sodium hydroxide. A classic! Very gentle and soothing on any skin. The oatmeal exfoliates, and the milk and honey restores the skin's natural moisture. Ingredients: Olive oil, palm oil, palm kernel oil, coconut oil, shea butter, apricot oil, oatmeal, honey, goats milk, distilled water, essential oil, sodium hydroxide. A rich, earthy aroma! 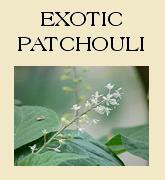 Patchouli is known to serve as a remedy for a variety of skin conditions. It is also noted to be a very sensual fragrance. Ingredients: Olive oil, rice bran, palm kernel oil, apricot oil, coconut oil, grape seed oil, shea butter, distilled water, patchouli essential oil, sodium hydroxide. Our peppermint soap is very invigorating! A great way to start the morning. Peppermint is one of the oldest and most highly regarded essential oils. Ingredients: Olive oil, palm oil, palm kernel oil, coconut oil, castor oil, grape seed oil, distilled water, peppermint essential oil, sodium hydroxide. Bring the rich scent of the forest into your very own bath with our pine forest soap. Great for outdoor lovers, but still just as gentle on skin. Ingredients: Olive oil, almond oil, palm kernel oil, castor oil, coconut oil, wheat germ, shea butter, distilled water, pine forest fragrance, sodium hydroxide. Ingredients: Olive oil, coconut oil, palm oil, hemp oil, unrefined shea butter, distilled water, plumeria essential oil, sodium hydroxide, distilled water. shea butter, distilled water, pumpkin essential oil, sodium hydroxide. Why not bathe in a basket of roses? Rich in goats milk to pamper your body leaving skin silky and smooth! milk, filtered water, sodium hydroxide, essence of rose. Ingredients: Olive oil, almond oil, palm kernel oil, castor oil, coconut oil, wheat germ oil, shea butter, distilled water, saffron essential oil, cederwood essential oil. Ingredients: Olive oil, palm kernel oil, castor oil, apricot oil, coconut oil, wheat germ oil, shea butter, distilled water, goats milk, sandalwood essential oil, sodium hydroxide. Ingredients: Olive oil, coconut oil, palm kernel oi, palm oil, avocado oil, babassu oil l, shea butter, distilled water, sodium hydroxide. A must-have! Tea tree oil is the subject of a great deal of international research! Its useful in a wide range of conditions for its antibacterial, antiviral, and anti-fungal properties. Ingredients: Olive oil, almond oil, palm oil, palm kernel oil, coconut oil, shea butter, distilled water, sodium hydroxide. Our version of the traditional African-made soap. Extremely moisturizing. It is said to heal acne, eczema, and other various skin conditions. Customers who have tried this soap will use no other! Ingredients: Olive oil, coconut oil, palm oil, unrefined shea butter, hemp oil, bamboo, charcoal powder, oak moss, distilled water, sodium hydroxide. A rich, creamy lather with the wonderful smell of vanilla. Ingredients: Olive oil, grape seed oil, coconut oil, palm oil, palm kernel oil, castor oil, goats milk, distilled water, pure vanilla, sodium hydroxide. The honeysuckle smells wonderful, just like the sweet smell in the summer along a garden fence. Ingredients: Apricot oil, olive oil, coconut oil, palm oil, palm kernel oil, distilled water, goats milk, honeysuckle essential oil, sodium hydroxide. 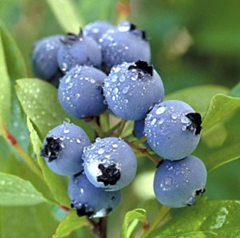 Blue berries are rich in vitamins and antioxidants, any way you use blue berries they are good for you. Ingredient: olive oil, coconut oil, palm & palm kernel oil, babassu oil, avocado oil, castor oil, shea butter, filtered water, sodium hydroxide. Made with care and tested, but as with any product if irritation noted stop using. Refreshing, invigorating spearmint combined with the healing properties of rosemary makes for a wonderful lather experience. 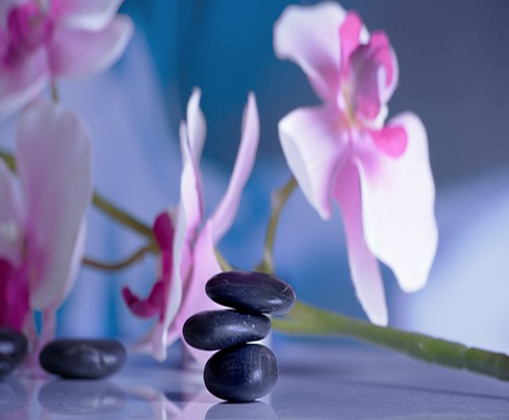 ​There is time for a little calm in your life and try it with a bath and the lovely scent of meditation. Scent is essence of peony, rose, violets, and melons and a little musk and vanilla. Ingredient: Olive oil, coconut oil, shea butter, sweet almond, palm kernel, distilled water, sodium hydroxide. Made with care and tested, but as with any product if irritation noted stop using. SWEET WARM SPICY UPLIFTING SCENT. It is said to soothe the skin. ingredient: cinnamon bark oil, coconut oil, olive oil, palm oil, palm kernel oil, castor oi, distilled water, sodium hydroxide. Made with care and tested but as with any product if irritation noted stop using.